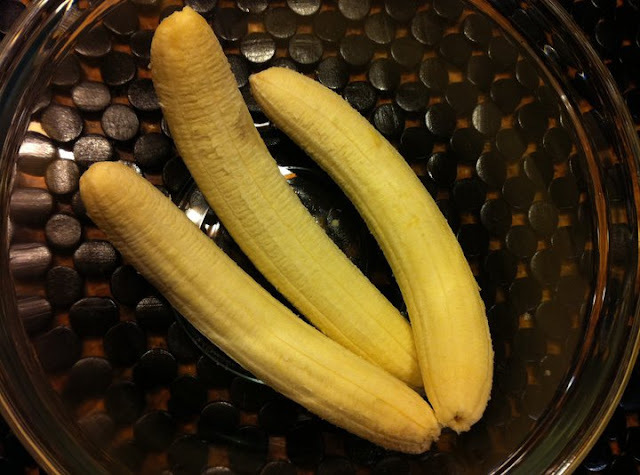 When I eat bananas usually, I like them almost ripe, but a tiny bit green. Yes, I know, gross, right? But I find them delectable when not quite ripe. 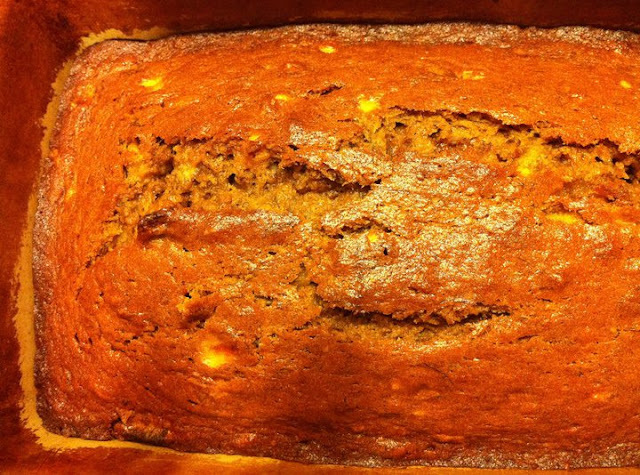 For banana bread however, the more ripe, the better. Because the riper they are, the sweeter, and the mushier they get. 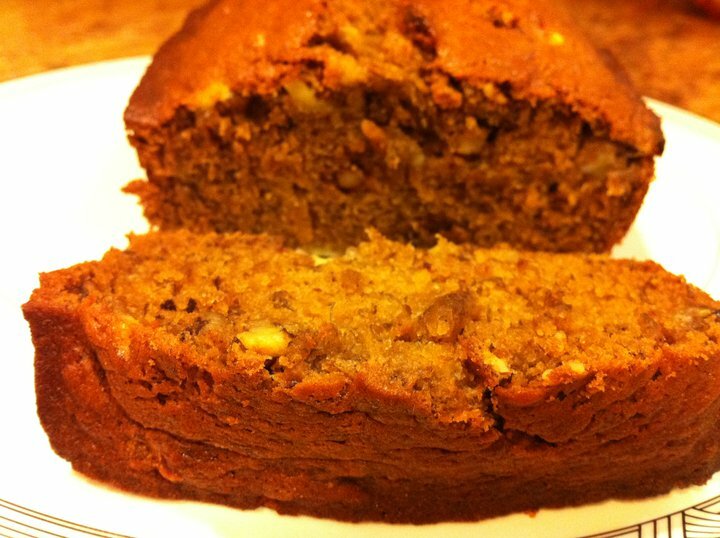 I knew I wanted to use walnuts for this recipe, because banana and walnuts are a natural combination, right? And then? 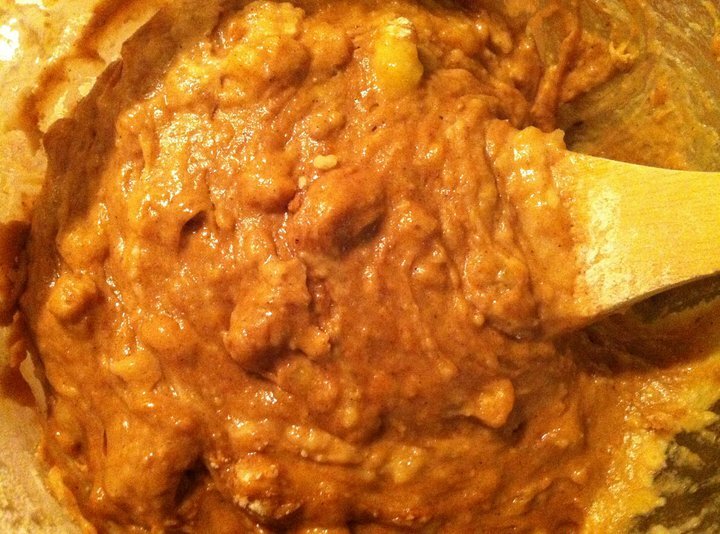 I twisted this original recipe to the point where it's almost unrecognizable. 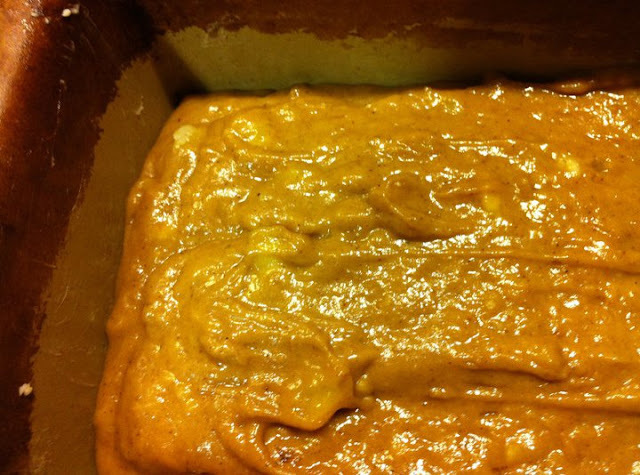 I replaced white sugar with the dark brown variety, and cut back on it, too; I added a splash of bourbon, salted butter and then doses of cinnamon and nutmeg. And also, though it goes without saying by now, mixed it with one hand. Once you pour the mix into the loaf pan it's almost too delicious looking to wait until it's baked. But somehow I think you'll be able to wait until it's finished! The finished product is golden brown and crispy on the edges. Sliced to perfection. The walnuts add a nice crunch. Enjoy! No need for a mixer for this recipe! Preheat the oven to 350°F. With a wooden spoon, mix butter into the mashed bananas in a large mixing bowl. 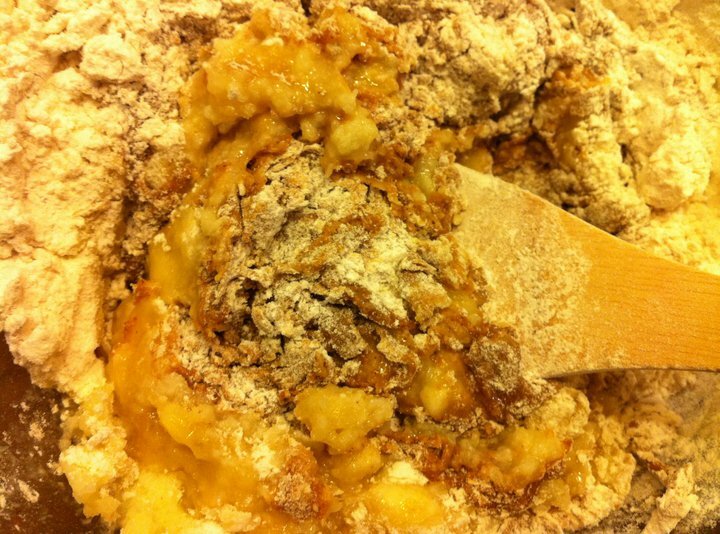 Mix in the brown sugar, egg, vanilla and bourbon, then the spices and walnuts. Sprinkle the baking soda and salt over the mixture and mix in. Add the flour last, mix. 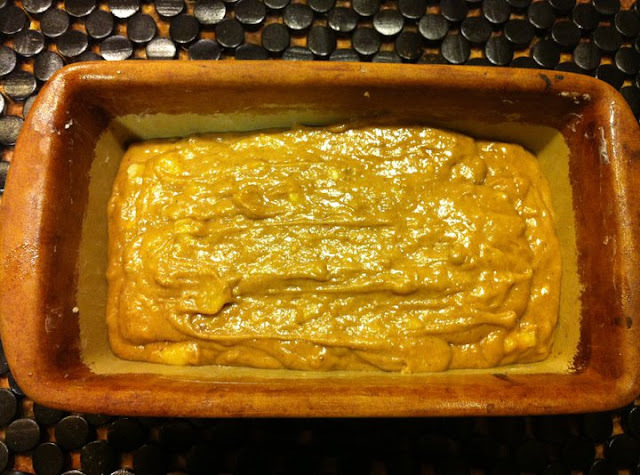 Pour mixture into a buttered 5x9 inch loaf pan. Bake for 50 minutes to one hour, or until a tooth-pick comes out clean. Cool on a rack. Remove from pan and slice to serve.